In 1254 the Sheriff of each county was ordered to send two knights, chosen by the county, ‘to consider what aid they would give the King in his great necessity’; eleven years later the Parliament summoned by Simon de Montfort contained not only two knights from each county, but also two citizens from each city and two burgesses from each borough. The Parliaments of the thirteenth century were very different from those of today, and no doubt there were even greater differences in the manner of their election. 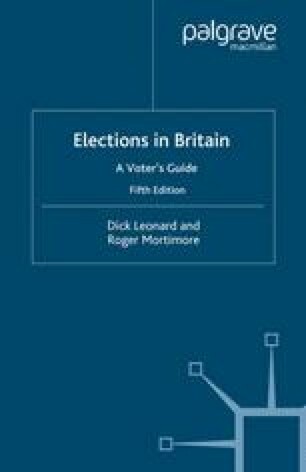 Nevertheless, a statute approved by the Parliament of Edward I, in 1275, stipulating that the elections should be ‘free’ is still in force today, and the gradual evolution of the present system can be traced back through hundreds of Acts of Parliament spanning the centuries in between.